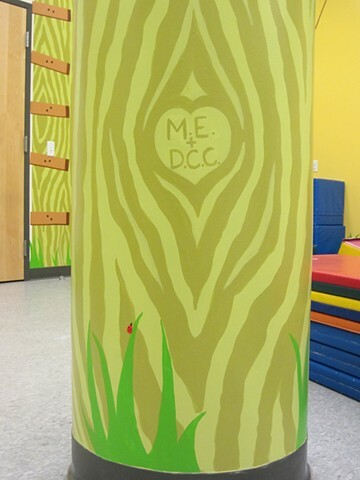 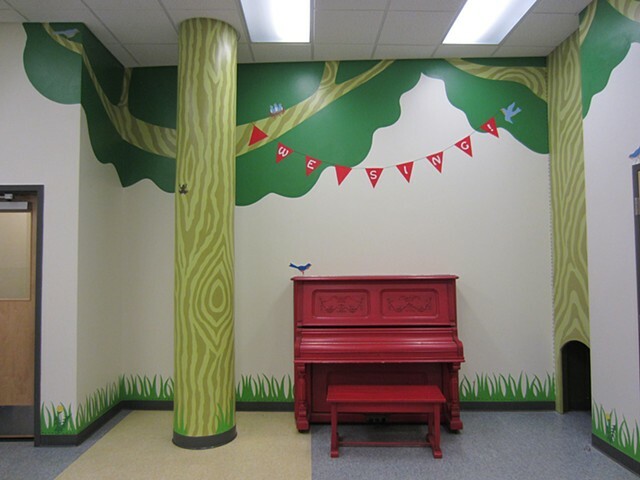 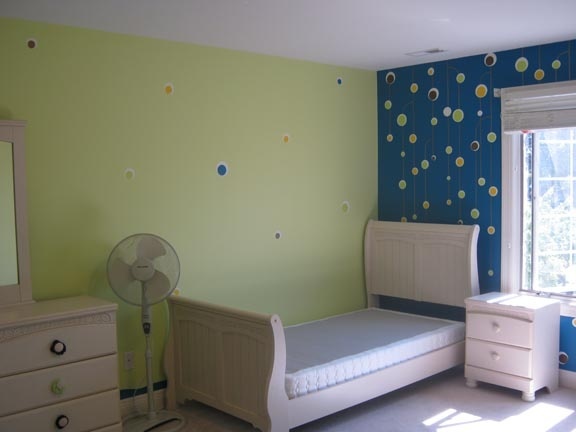 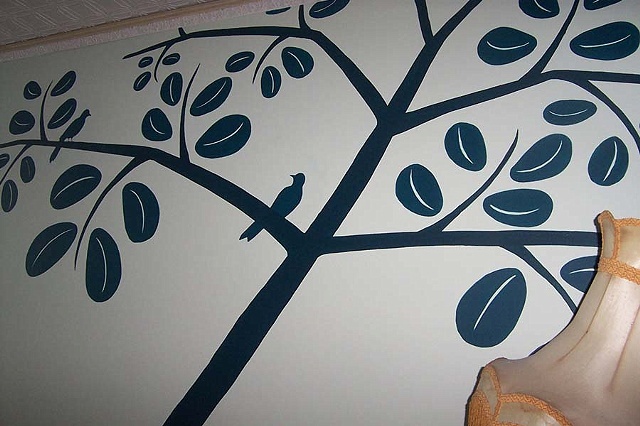 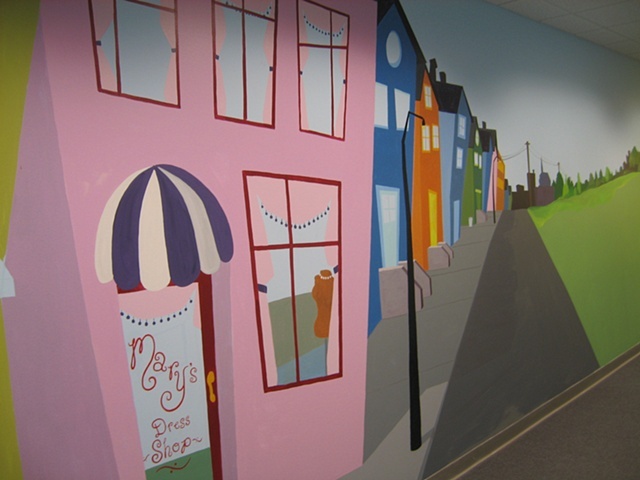 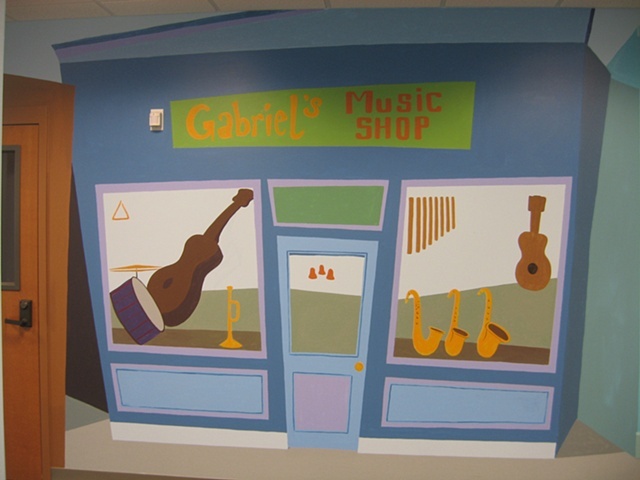 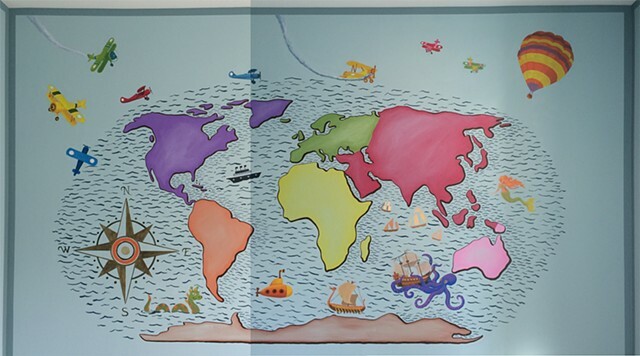 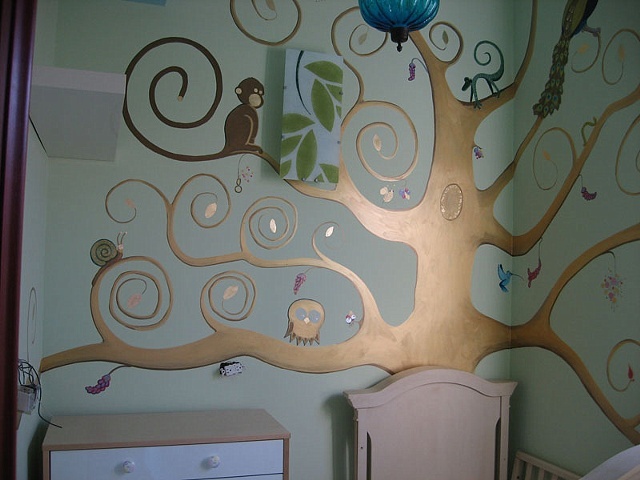 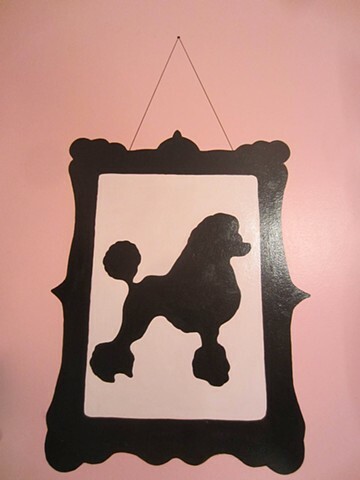 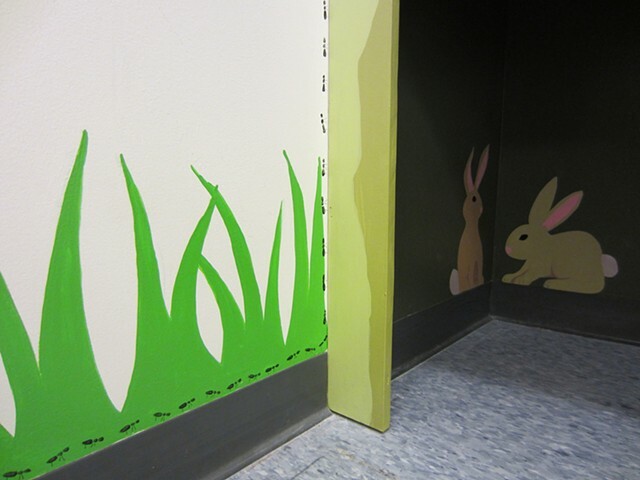 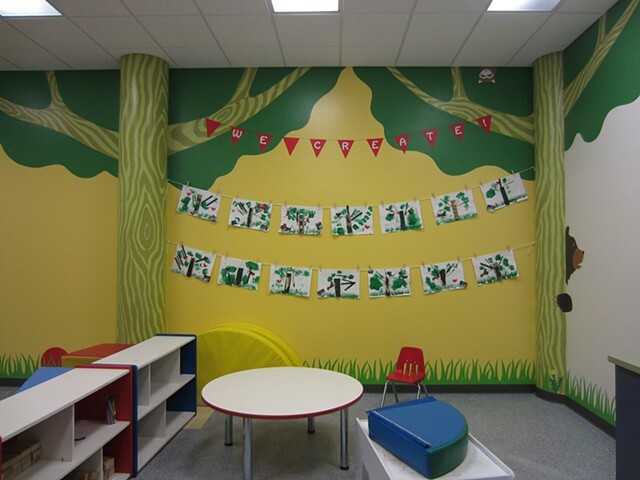 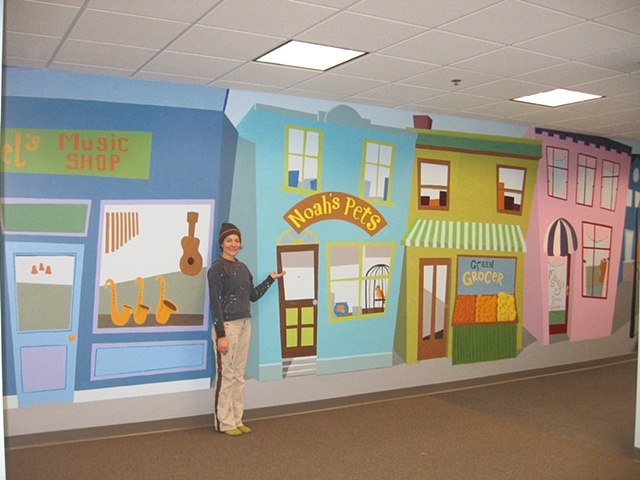 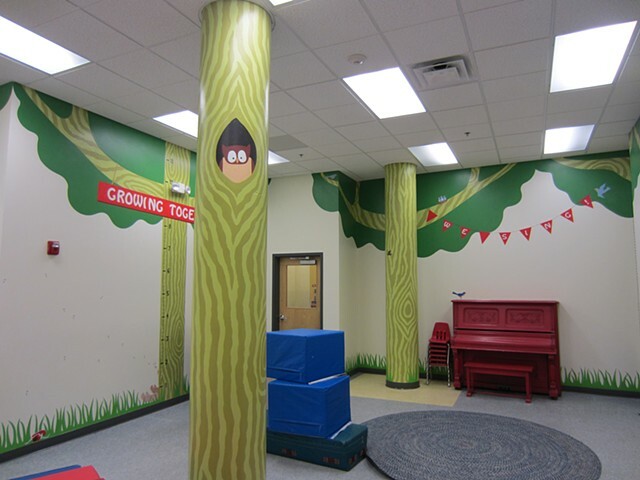 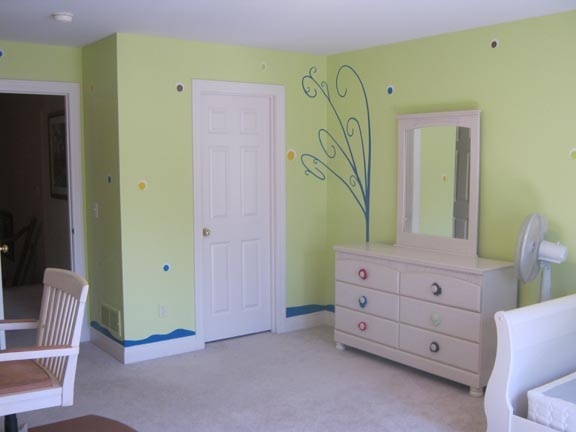 We're also able to construct elements, customize fabric or paint furniture to go with your child's space. 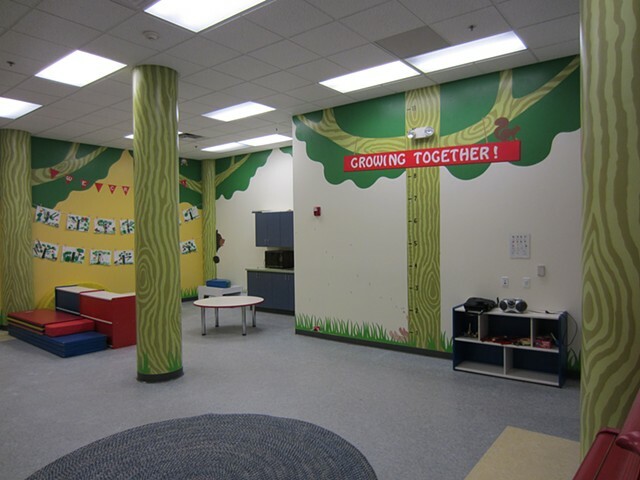 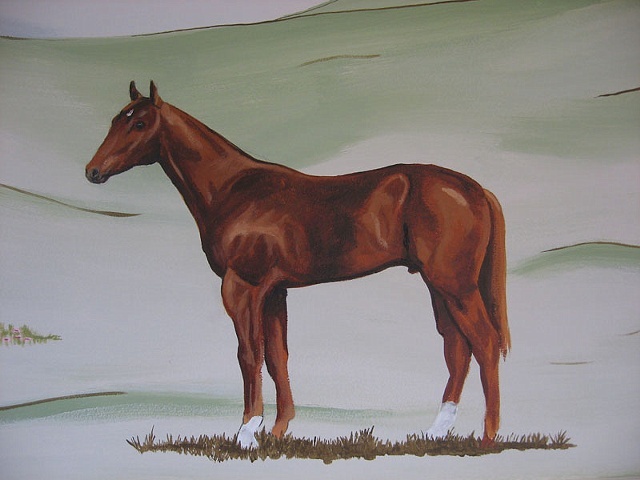 Feel free to come to us with an empty space or a fully developed idea. 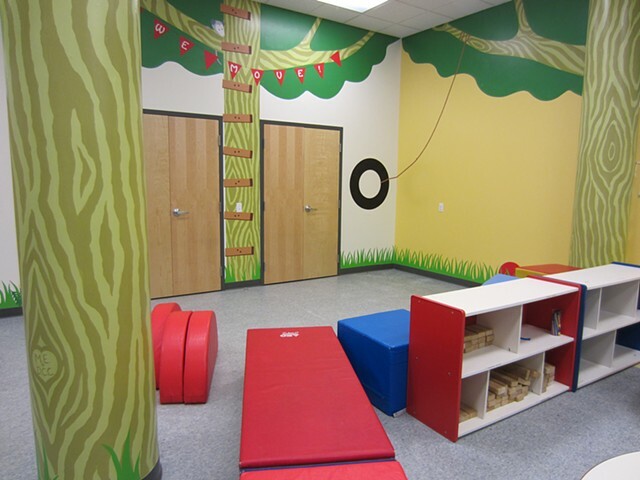 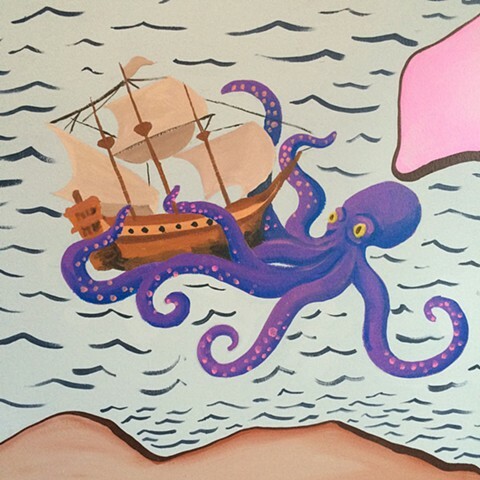 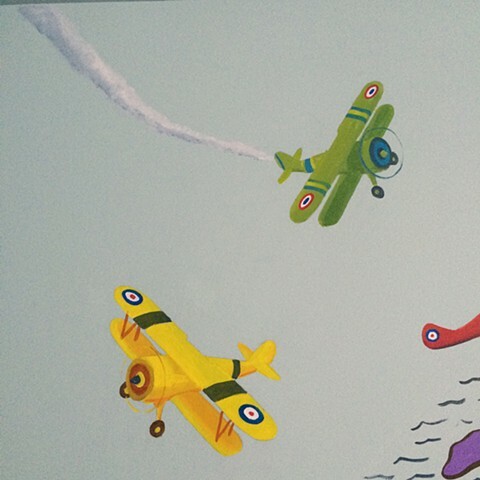 One of our company's best assets is our childlike imagination. 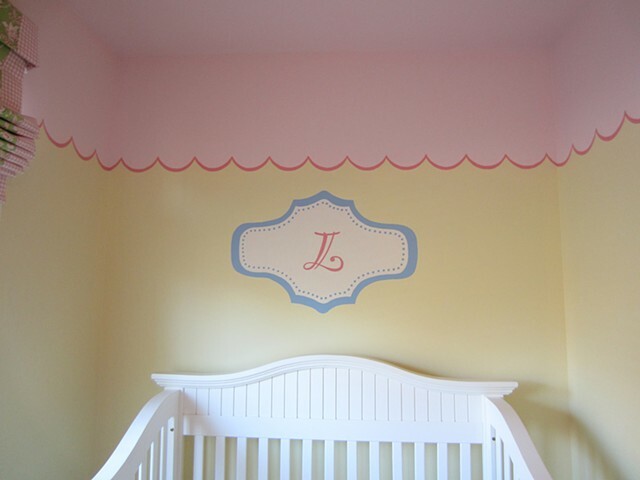 Girl's room border based on bedding design. 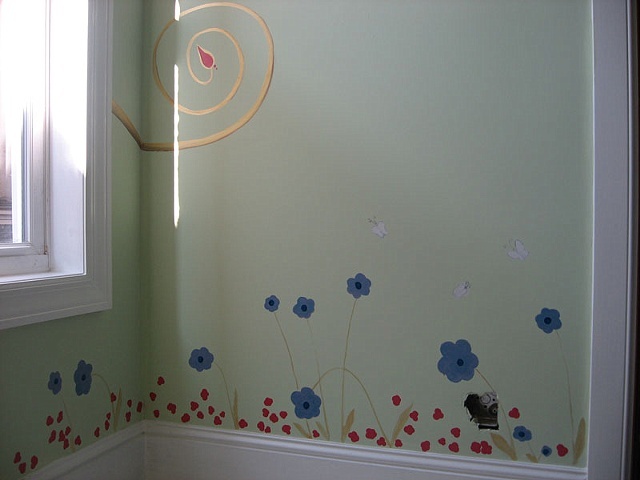 Girl's room border based on bedding design- detail. 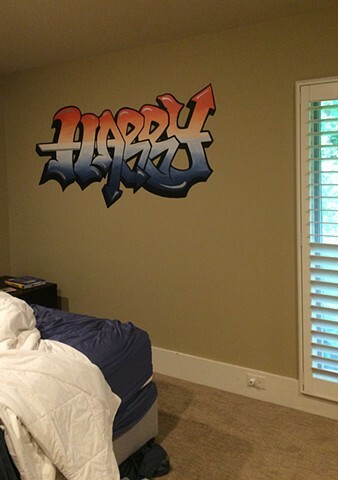 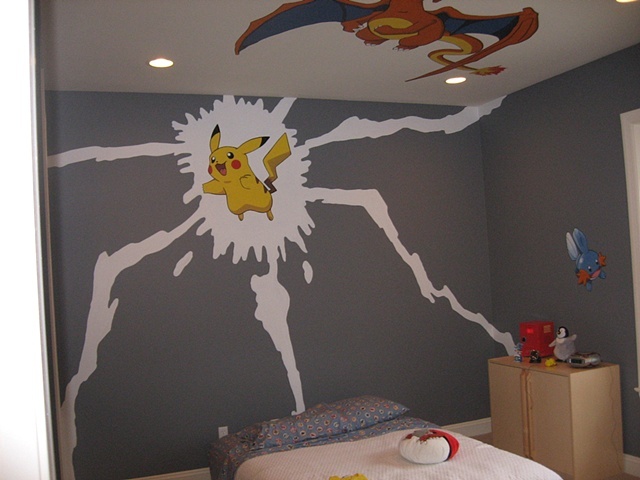 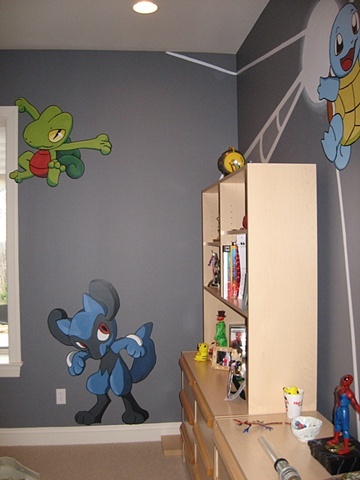 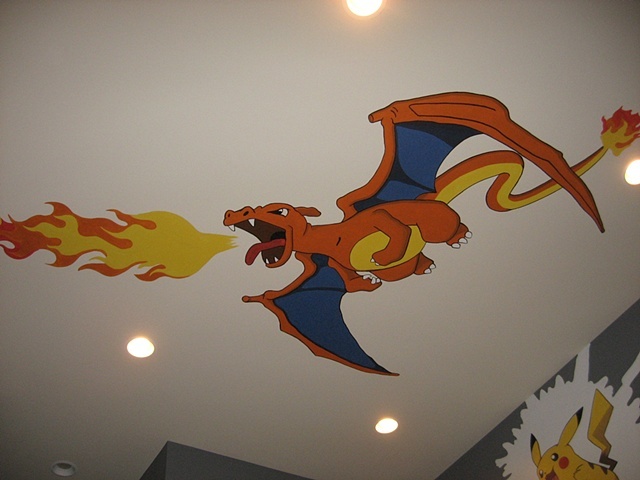 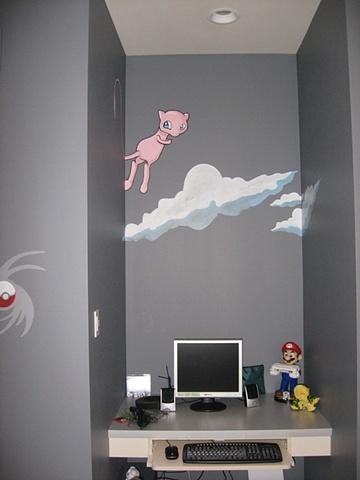 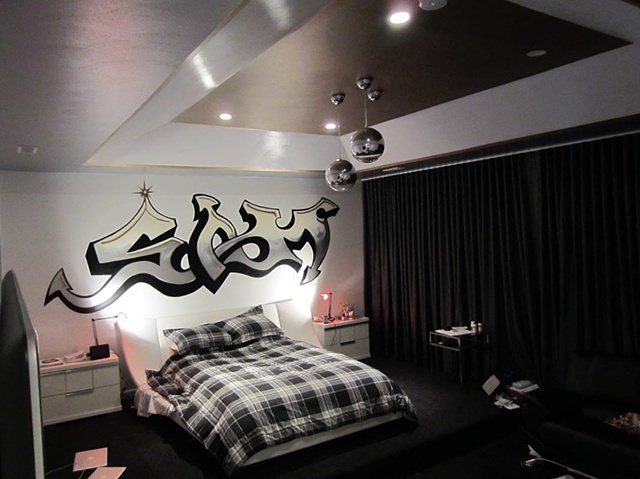 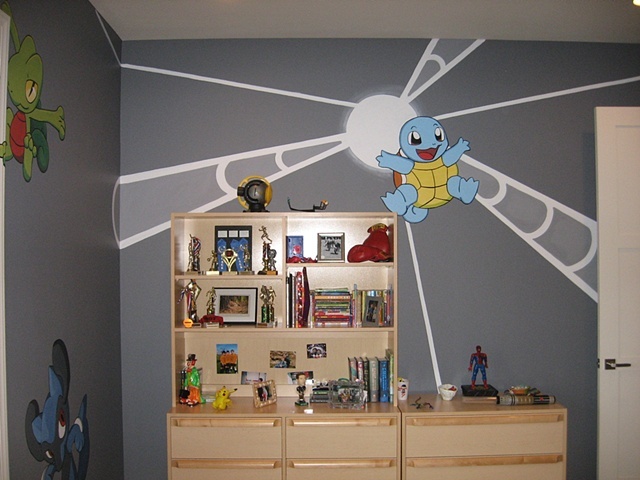 Killer teen room painted with high gloss walls, gold and silver ceiling, and graffiti themed mural. 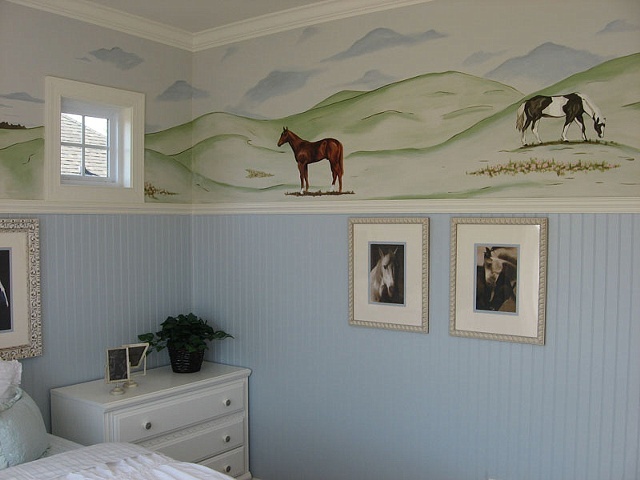 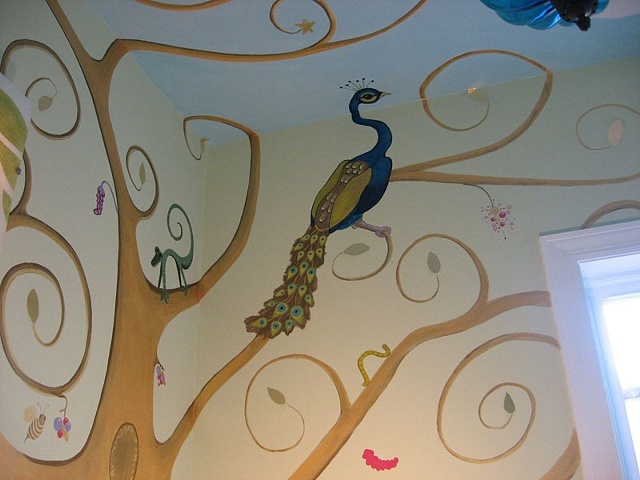 Room designed by Julie Abner. 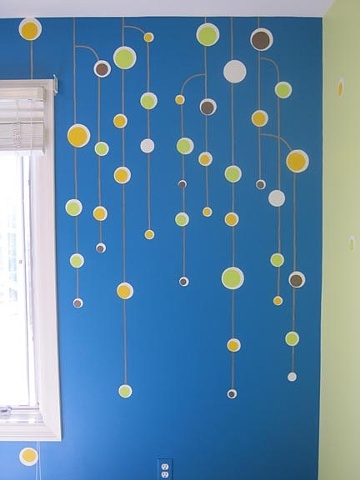 Hanging ball design gold/blue/green. 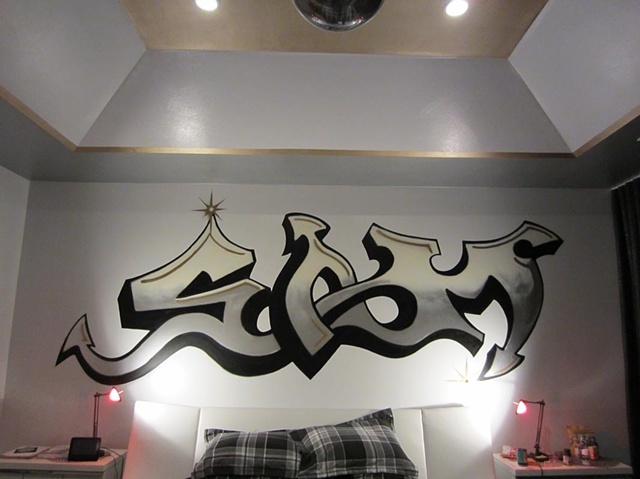 Designed by our gifted 12 year old client! 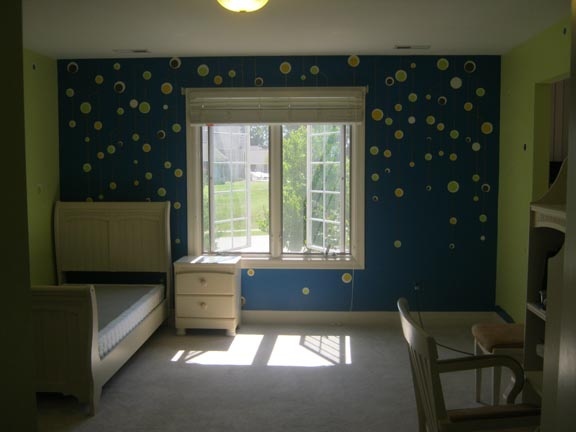 Hanging ball bedroom. 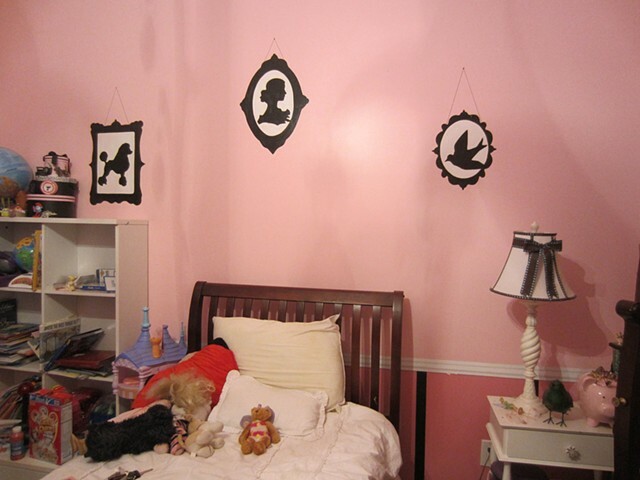 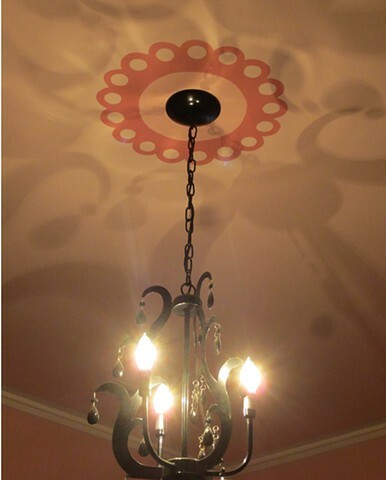 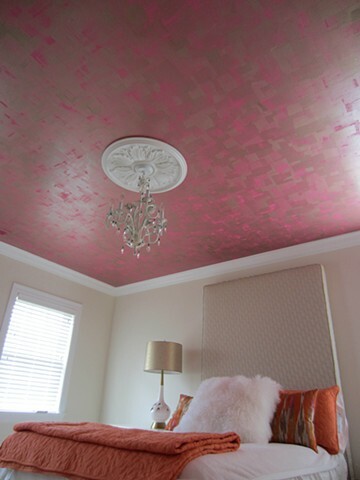 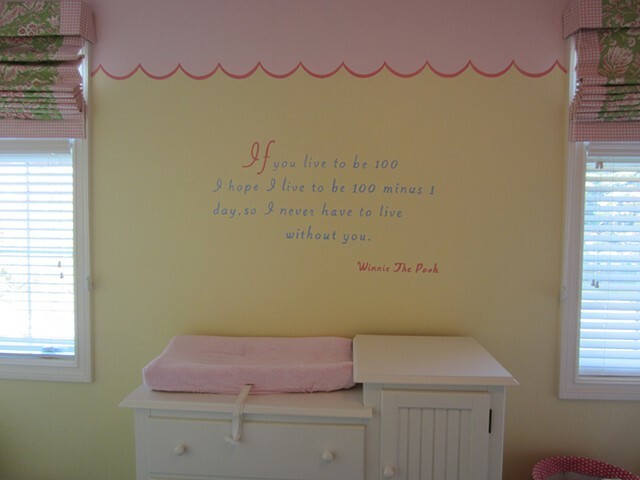 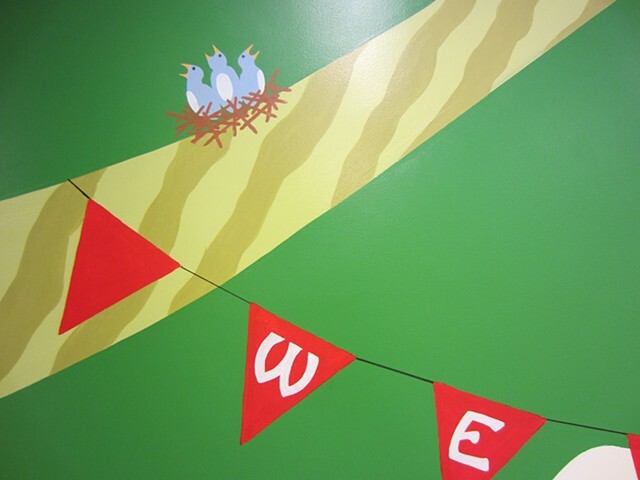 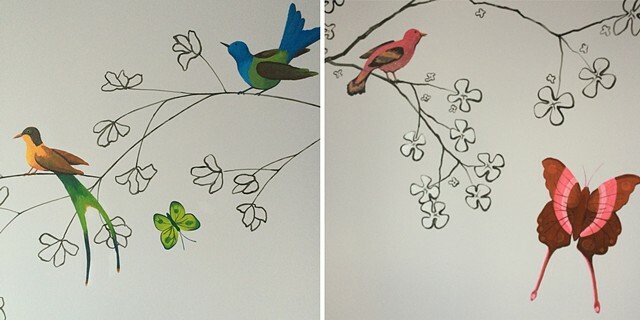 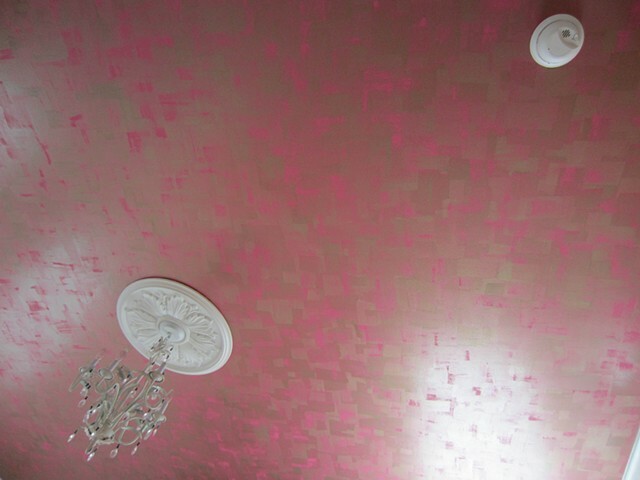 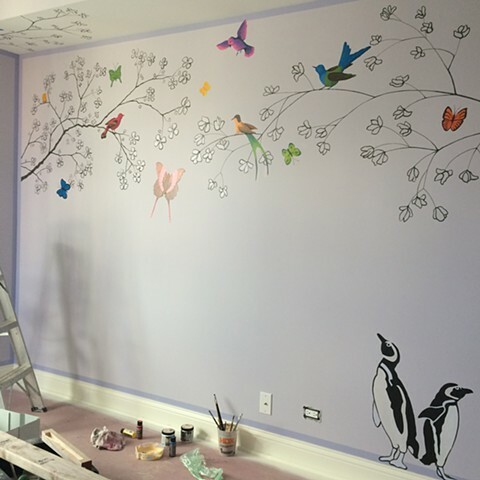 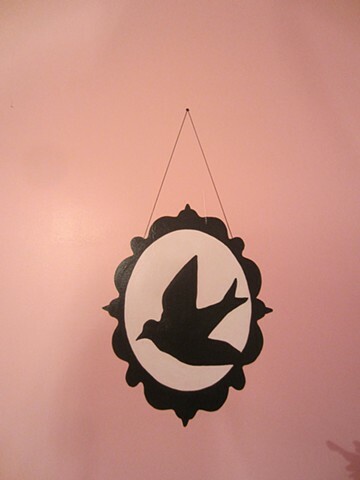 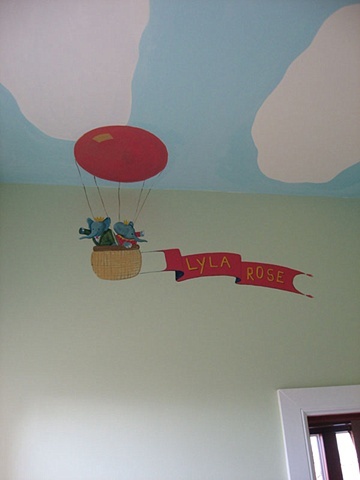 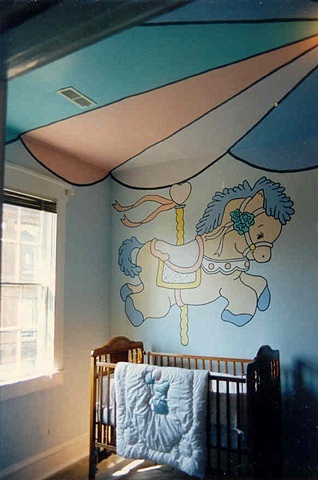 Our young client was very particular about every detail and we loved helping to make her room. 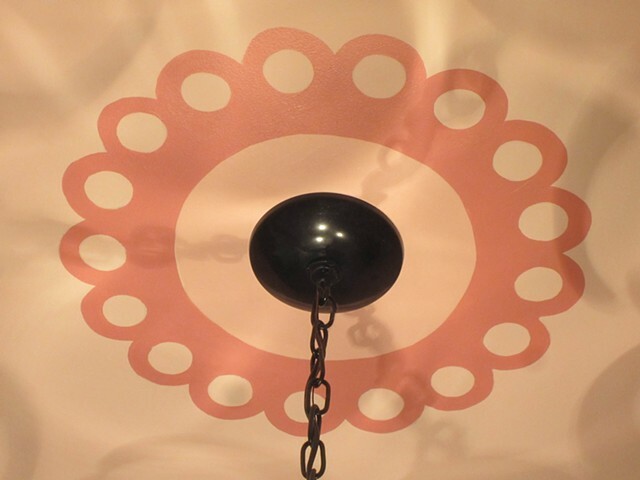 Hanging ball design bedroom detail. 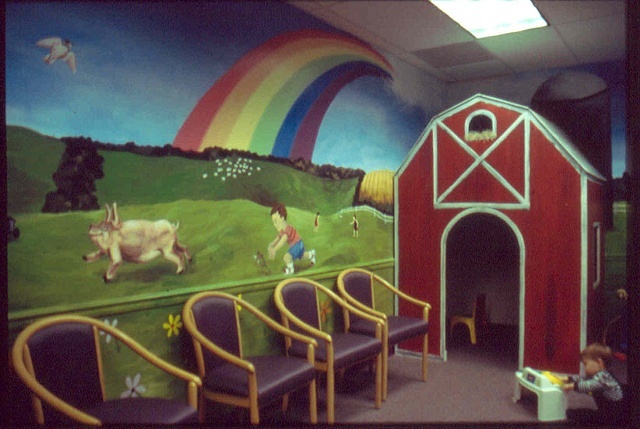 Doctor's office waiting room farm with 3D barn. 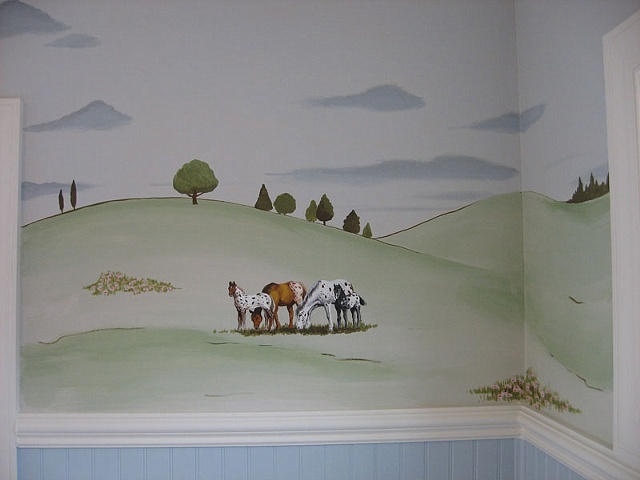 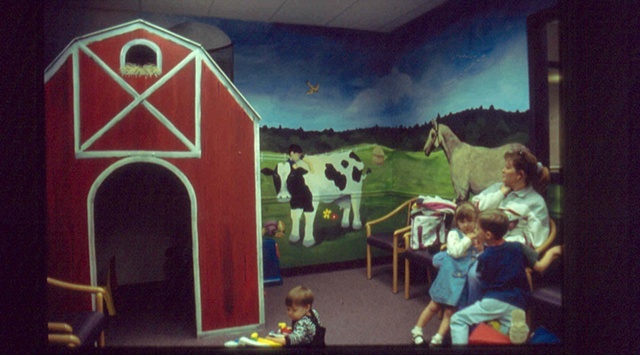 Doctor's office waiting room showing a farm landscape. 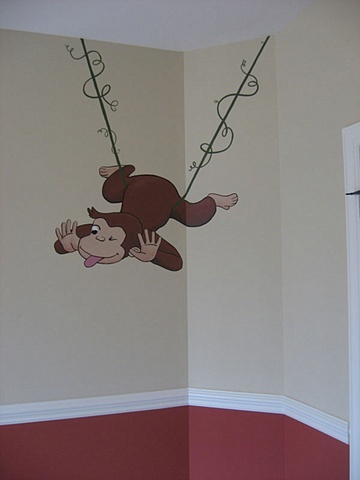 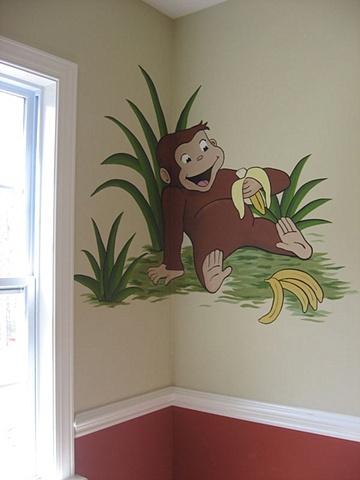 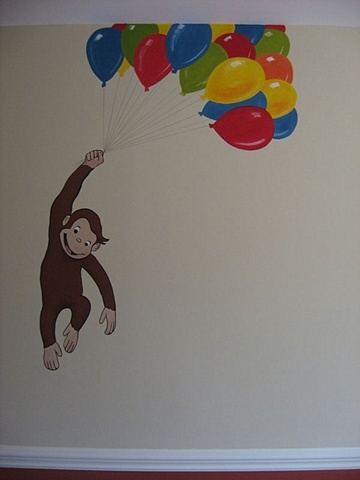 Curious George with balloons in child's bedroom. 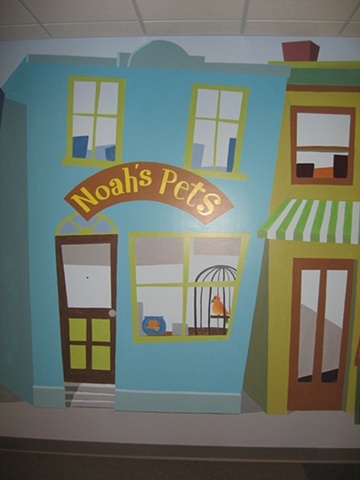 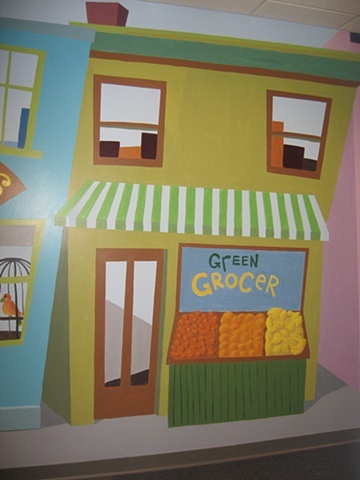 Detail of church 'Main street' mural.